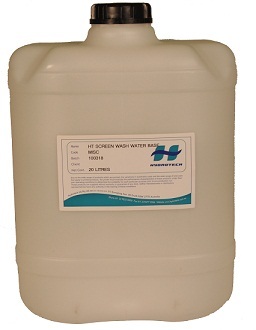 This is a thickening agent for Hydrotech Print Pastes or Fabric Printing Colours. With the addition of Hydrotech Colour Concentrate, water,Sulphate of Ammonia solution,Synthetic Fixer, Cold Cure Additive and Hydrotech Binder, the viscosity of the printing media will be reduced. 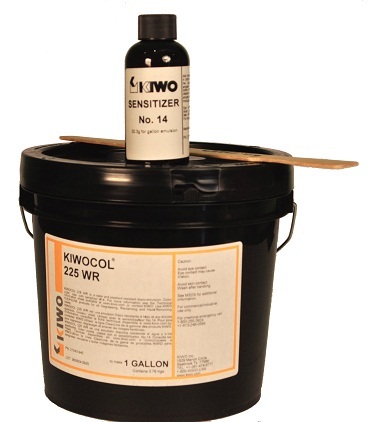 A small addition of Hydrotech Thickener will bring the printing media to its original viscosity. ADDITION: The amount of Hydrotech Thickener required to thicken Hydrotech Print Pastes or Fabric Printing Colours will vary depending upon the extent to which the printing media has been thinned initially. Generally, initial additions of 0.5%-1% (by volume) is preferable. CAUTION: Hydrotech Print Pastes or Fabric Printing Colours which are old stock (generally older than 12 months) may require the addition of ammonia (0.5% by volume) in order to activate the thickener.